Most people don't buy individual songs or albums anymore. And why would you, when a monthly subscription lets you stream unlimited music from Apple Music, Spotify or Amazon Prime Music? And what's even better than unlimited music? Free music! Whether you want to listen to a specific song or get a mix from your favorite genre or something to match your mood, these free music apps for the iPhone are essential downloads. Features playlists for every artist, genre, or mood. Definite social element based on shared love of music. More than 3 million playlists. Lacks function to make your own playlist in the app. 8tracks Radio delivers millions of user-created playlists, as well as "handcrafted" playlists by experts and sponsors for every taste, activity, and mood. Provide the app some basic info about the kind of music you want to listen to or what you're doing, and it serves up a set of matching playlists. The free version of the app delivers all the core features, including creating and sharing playlists and listening to those made by others, but it also has ads. 8tracks Plus, the paid version, removes ads, delivers unlimited listening, cuts out interruptions between playlists, and lets you illustrate your playlists with GIFs. Plus is free for the first 14 days, and then it costs $4.99 per month or $39.99 per year for a subscription. Ad-free and included with Amazon Prime membership. Most songs display lyrics as they play. No longer allows users to upload their own music files. Lots of people use Amazon's Prime Video service, but the existence of its Music service is probably less well known. Still, if you already subscribe to Prime, there's a lot in the Amazon Music app to check out. Amazon Prime Music lets you stream a catalog of over 2 million songs, playlists, and radio stations. Even better, this is ad-free and is included in your Prime subscription. Plus, you can sign up for a family plan with six different users. In addition to that, all music you've bought from Amazon – both as MP3 downloads and, in some cases, as physical media that has Amazon's AutoRip feature – is available in your account for streaming and download. Upgrade to a full-fledged streaming service by subscribing to Amazon Music Unlimited. The $9.99/month service ($7.99/month for Prime members) gives you access to tens of millions of songs, playlists, and radio stations, and lets you download the songs for offline listening. All users of the Amazon Music app get a cool, free bonus: Alexa. Amazon's voice-driven digital assistant, which powers its popular line of Echo devices, is integrated into the app and delivers all of Alexa's features and abilities to your phone. No free tier but a generous 90-day free trial of all features. 50 million songs and music videos. Requires a subscription after 90 days. Music is DRM. You can't keep it after you cancel a subscription. The Music app comes pre-loaded on every iPhone, but you can really unlock its power by using the Apple Music streaming music service. Apple Music delivers virtually the entire iTunes Store to your computer and iPhone for just $10/month (or $15 for families of up to 6). A 30-day free trial lets you try before you sign up. Save songs for offline listening, create and share playlists, follow artists, and much more. The service also includes a Radio service, featuring the Beats 1 station. Beats 1 is an always-on, worldwide streaming radio station programmed by top DJs, musicians, and tastemakers. Besides Beats 1, Radio includes a Pandora-style music service that builds its playlists based on the songs or artists a user likes. Apple Music offers basically all the features you could want in a streaming app, and its right there on your phone. Pretty convenient! Storage and streaming for 50,000 songs from your personal collection. Free service is ad supported. Free service does not include access to all 40 million songs on the service. Google Play Music is a music service built around three major features: hosting your own music in the cloud, streaming new music, and internet radio. First, you can upload music that you already own to your Google account and then listen to it in this app over the Internet without having to download the songs or subscribe. This makes a library of up to 50,000 songs available to you anywhere you have an internet connection, regardless of whether you have your phone handy. Lastly, it delivers an unlimited music streaming, a la Spotify or Apple Music. A 30-day free trial gives you access to everything. After that, the free membership lets you stream your own music and internet radio. Sign up for $9.99 per month (or $14.99 per month for up to five family members) to add streaming music and access to the YouTube Music service. Live radio channels any time or place. Stations include music, news, sports, talk, and comedy. Full access to podcast library. A subscription is required to skip a song or listen to songs on demand. Company filed for bankruptcy protection in 2018. But that's not all it does. In addition to music stations, you can also tune into news, talk, sports, and comedy stations. There are also podcasts available within the app from iHeartRadio-affiliated source and you can create your own custom "stations," Pandora-style, by searching for a song or artist. That's all in the free app, but there are upgrades that deliver more features, too. The $4.99/month iHeartRadio Plus subscription lets you search for and listen to virtually any song, gives you unlimited song skips, and lets you immediately replay a song you just heard on a radio station. If that's not enough, iHeartRadio All Access ($9.99/month) adds full offline listening, gives you the ability to listen to any song in Napster's huge music library, and lets you create unlimited playlists. Personalized listening based on song, artist, or genre. Easy to find new music and podcasts. Music library contains 30 million songs. Subscription necessary to remove ads and for more skips. Pandora Radio is one of the most downloaded free music apps on the App Store because it’s simple and works really well. It uses a radio-style approach, where you enter a song or artist and it creates a "station" of music you'll like based on that choice. Refine the stations by giving thumbs up or down to each song, or adding new musicians or songs to a station. With a gigantic database of music tastes and relationships powering it, Pandora is a terrific tool for discovering new music. The free version of Pandora lets you create stations, but you also have to listen to ads and it limits the number of times you can skip a song in an hour. The $4.99 per month Pandora Plus removes ads, lets you listen to four stations offline, removes all limits on skips and replays, and offers higher-quality audio. For $9.99 a month, Pandora Premium gives you all of those features plus the ability to search for and listen to any song, make your own playlists, and listen offline. More than 50 regular programs. Much of the music is unfamiliar to U.S. listeners. Can't go back and visit missed shows and music. You probably know Red Bull as a beverage company, but over the years it's expanded to be much more than that. It's now a global spots and entertainment titan whose portfolio of products includes Red Bull Radio. This free radio app is built around the titular Red Bull Radio service, which features live radio, genre-specific channels, and over 50 regular programs. Included in that programming are recordings and live streams from major music venues worldwide, which is a pretty cool way to enjoy venues you can't actually attend. There are no premium features here, like offline listening or creating your own playlists, so if you're seeking a full-featured app, look elsewhere. But if Red Bull Radio offers the kinds of music you enjoy, it's a great option. Personalized recommendations on the homepage. Free plan is ad supported and limited to six skips per hour. Slacker Radio is another free music app that provides access to hundreds of radio stations from nearly every genre. You can also create personalized stations based on specific artists or songs and then fine-tune them to match your tastes. In the free version, you need to listen to ads and are limited to skipping six songs per hour. The paid tiers of the service give you more features. The $3.99 per month Plus version removes ads and skip limits, lets you listen to stations offline, customize ESPN Radio, and enjoy high-quality 320 Kbps streaming. At $9.99 per month, Slacker Premium delivers all the already-mentioned features, plus the ability to stream songs and albums on demand a la Apple Music or Spotify, offline listening of that music, and the ability to create your own playlists. Great way to discover independent artists. Users can upload and promote their own audio files. Users can scrub to move back and forth within songs. Library holds more new music that current hits. Non-skippable ads in free version. App user interface doesn't compare favorably with desktop version. Get the well-known and widely used SoundCloud experience on your iPhone with this app. The other apps on this list simply provide you music; SoundCloud does that, but it's also a platform for musicians, DJs, and other creative people to upload and share their own creations with the world. While the app doesn't allow for uploads on its own — the SoundCloud Pulse app covers that) — it offers access to all that music and the site's other features, including discovery of new artists and social networking. The free version of SoundCloud lets you access 120 million tracks and create your own playlists. The $5.99 per month SoundCloud Go tier adds offline listening and removes ads. Upgrade even more with SoundCloud Go+, which costs $12.99 a month and unlocks access to over 30 million additional songs. The focus is on hip-hop artists and their music. Users can set up notifications for when favorites drop new music. Catalog contains over 1 million songs in more than 100,000 mixtapes. Great tracks are outnumbered by not-so-great tracks. Free version of app contains intrusive advertisements. Streaming the official major-label releases from record companies on services like Apple Music or Spotify is great, but it's far from the only place where new music debuts. In fact, if you're really into hip-hop, you know that there are tons of great mixtapes coming out of the underground and hitting the streets long before official albums are released. Spinrilla is your way to access those mixtapes without searching for them at local record shops or on street corners. This free app delivers new releases and trending songs, lets you comment on music, share it, and even supports downloading songs for offline playback. The free version of the app includes ads. Upgrading to a Pro membership to remove those ads from the experience is a bargain at $0.99 per month. Exclusive Spotify Singles live session recordings. You can't skip tracks in the free version. Free account limited to 15 playlists and 750 songs. Pretty much the biggest name in music streaming, Spotify has more users around the world than any other service. And with good reason. It's got a huge music catalog, cool sharing and social features, and Pandora-style radio stations. It's recently started adding podcasts to its collection, making it a go-to destination for all kinds of audio, not just music. While iPhone owners used to have to pay $10/month to use Spotify on iOS devices, there's now a free tier that lets you shuffle music and playlists without a subscription (you'll still need an account). You will have to listen to ads with this version, though. To unlock all the features of Spotify, the $10 Premium subscription is still required. 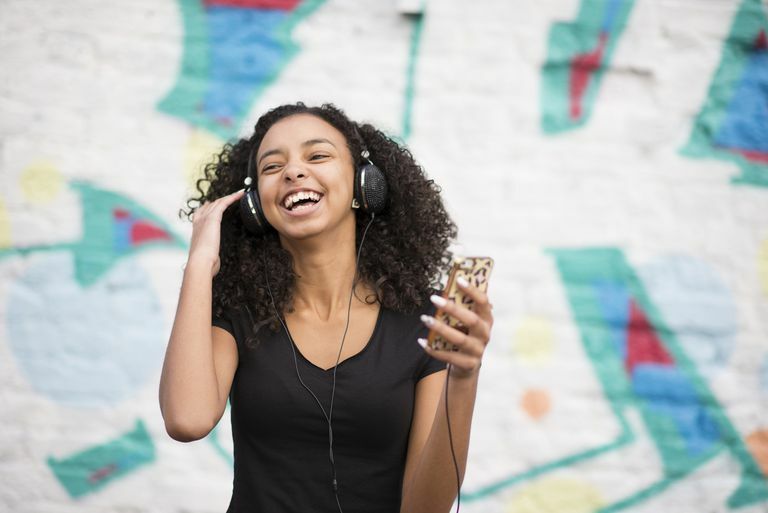 With that, you ditch the ads, can save music for offline listening, and will enjoy music in a higher-quality audio format than with the free tier. Live radio from around the world. Thousands of radio stations grouped by location and genre. Premium account includes NFL games, other sports, and audiobooks. Subscription required to remove ads. Users can't create on-demand stations. Audio quality of live broadcasts varies by broadcast. With a name like TuneIn Radio, you might think this app is focused just on free radio. There's a lot of radio available in TuneIn, but you may be surprised how much more there is, too. The app delivers streams of over 100,000 radio stations that offer music, news, talk, and sports. Included on those streams are some NFL and NBA games, as well as the MLB playoffs. Also available for free in the app is a giant podcast library. Sign up for the TuneIn Premium service — $9.99 per month as an in-app purchase or $7.99 per month directly from TuneIn — and you'll get a lot more. Included in Premium is even more live sports, over 600 commercial-free music stations, over 60,000 audiobooks, and 16 language-learning programs. Oh, and it removes ads from the app, too (though not necessarily from the radio streams). Great selection of Latin music and radio stations. Some stabilization problems; loses internet connection occasionally. All the apps on this list include all sorts of genres of music, including Latin music. But if that's your primary interest, and you want to dig deep into it, your best bet may be to download Uforia Musica. The app, which can be set to display text in both English and Spanish, offers access to over 65 Latin radio stations as they broadcast live. There are also streaming-only stations that are exclusive to Uforia. Discover these channels by city, genre, and language and locate playlists to match your moods and activities. Cool features include saving your favorite station for easy access later and a car mode that presents just the key features of the app in a larger format for easy access while driving. Unlike many other apps on this list, all features are available for free; there are no upgrades. Top-notch recommendation algorithm that learns your preferences. Includes YouTube music videos and other related music features. YouTube Music lets you start out with a song or video you choose and then creates stations and playlists based on that. Like other apps on this list, stations learn your taste over time to serve up more music you'll like. Upgrade by subscribing to YouTube Premium for $12.99 per month to remove ads from the app, download songs and videos for offline playback, and play music even when your phone's screen is locked. Remember, subscribing to Google Play Music also gives you YouTube Premium access, which may make that the best deal for some people.